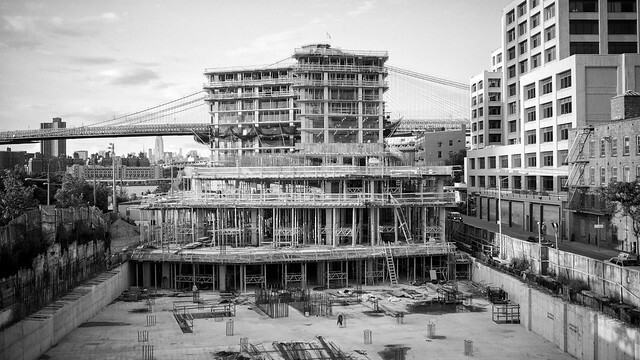 My flickr contact Andrew Mohrer took this image of construction next to the Brooklyn Bridge. IThis really does suit the B&W wonderful shot. He’s got a great eye for this stuff.